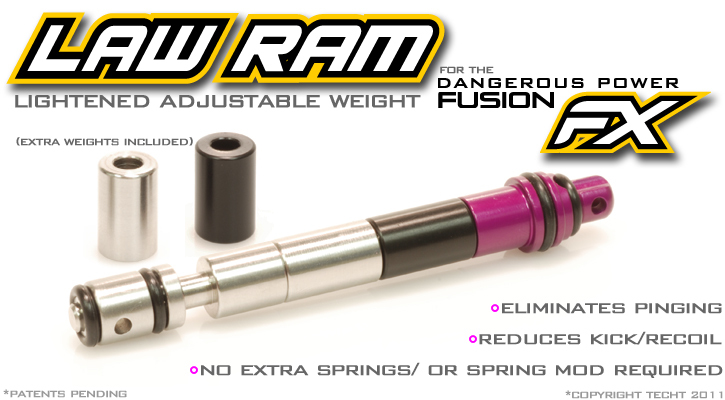 The TECHT Lightweight Adjustable Weight (LAW) Ram for the Dangerous Power Fusion FX was designed to eliminate the "pinging" noise & reduce the recoil in the Fusion FX Marker. Bumpers have been placed both at the front and rear of the ram to make it cycle as gentle as possible and decrease gun wear. The TECHT LAW Ram also features an adjustable weight system to assure that every player can customize the weight of their ram specifically to their liking and/or marker's individual tolerances. This assures that players will get the optimal configuration for their marker without any additional modification to their Fusion FX. A new spring or spring modification is not required. The LAW Ram will allow players to keep their Fusion FX on target easier in between shots or during higher rates of fire. 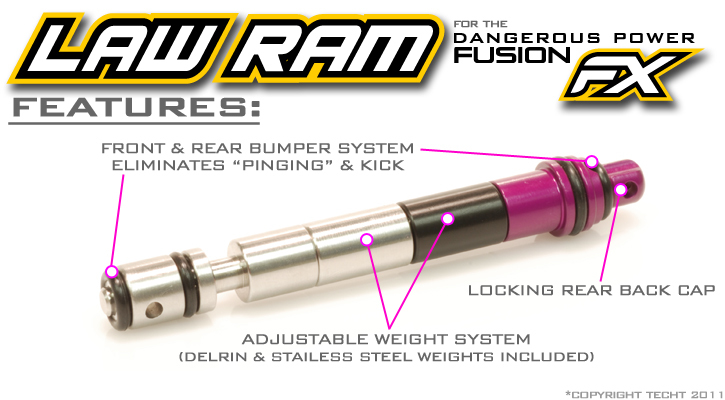 This rammer is used on the Dangerous Power FX Fusion. 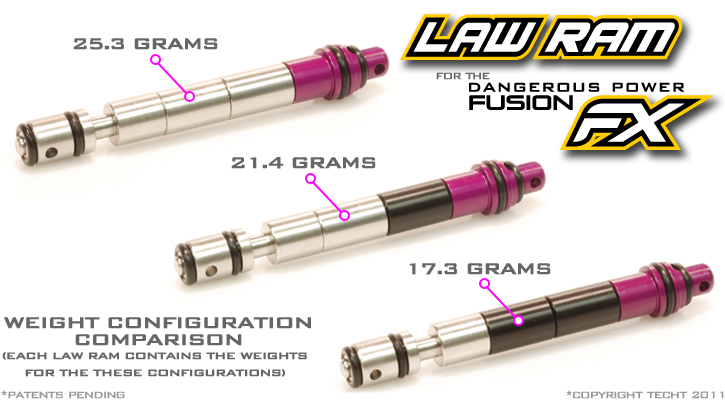 With Lightened Adjustable Weight, the L.A.W. Rammer is perfect for fine tuning the cycle of your FX.